BRISTOL - The warm spring weather still hasn’t arrived, and the bats of the New Britain baseball team have had just as much trouble warming up this season. “We’re struggling at the plate right now,” head coach Roberto Mercado said matter-of-factly on Wednesday. 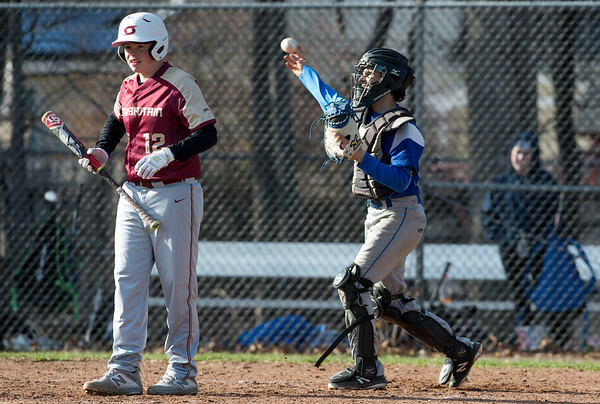 Through the season’s first three games, the Hurricanes have managed just three runs scored, all of them coming in a season-opening loss to Wethersfield. New Britain has been shut out since the fourth inning of that season opener, totaling 18 innings. Most recently, the Hurricanes were silenced over seven innings by Bristol Eastern starter Jagger Duquette, who struck out 10 and allowed just two hits on Wednesday. New Britain is certainly young, and trying to navigate through a tough road on their early season schedule while trotting out four varsity newcomers in the starting lineup. It’s not the ideal situation for Mercado, but he believes his young group will be able to learn on the fly and adjust to the higher level of pitching as the season progresses. Mercado acknowledged his team, who is battling against a higher level of competition against fresh arms in the beginning of the season, is experiencing a certain level of frustration. At the same time, that can also serve the players in the long run. With frustration comes a pressing urge to break out and produce, leading to some impatient at-bats that were showcased in the 10 strikeout day in Bristol on Wednesday. Rivera is one of a few seasoned starters for New Britain and is looking to lead the Hurricanes to the state tournament for the third straight season. Once an inexperienced youngster himself, Rivera has a simple message to his teammates that may be gripping the bats tighter than usual as they tread through their first varsity games: relax. Posted in New Britain Herald, New Britain on Thursday, 11 April 2019 21:15. Updated: Thursday, 11 April 2019 21:18.